This dish translates to ‘sausage and chickpeas’ and is made with our homemade sausages. The recipe of these sausages is of an old family one. You can buy them to cook at home from our deli. It’s a hearty stew-like dish that will warm you up on a gloomy day, something you’d turn to for comfort food. 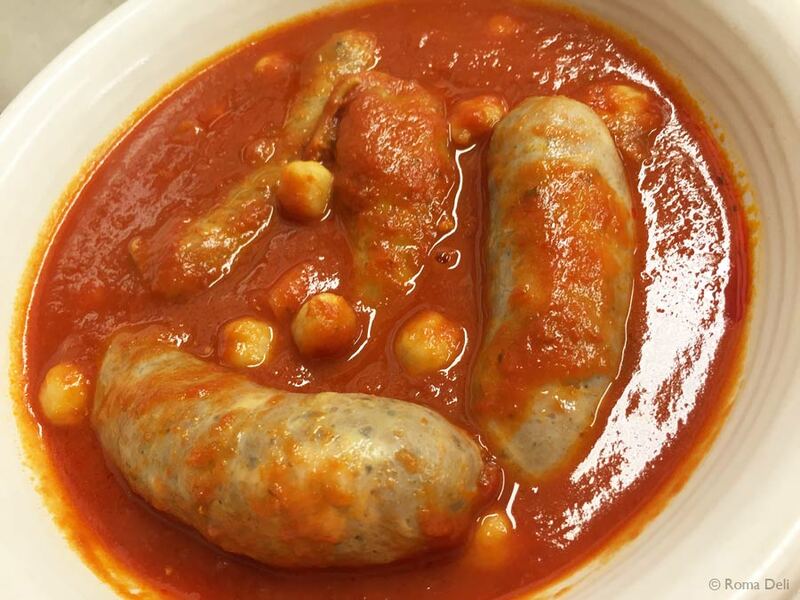 The homemade sausages are served in a rich tomato sauce with chickpeas. This is just one of our tasty gluten-free dishes that we serve in our caffè.